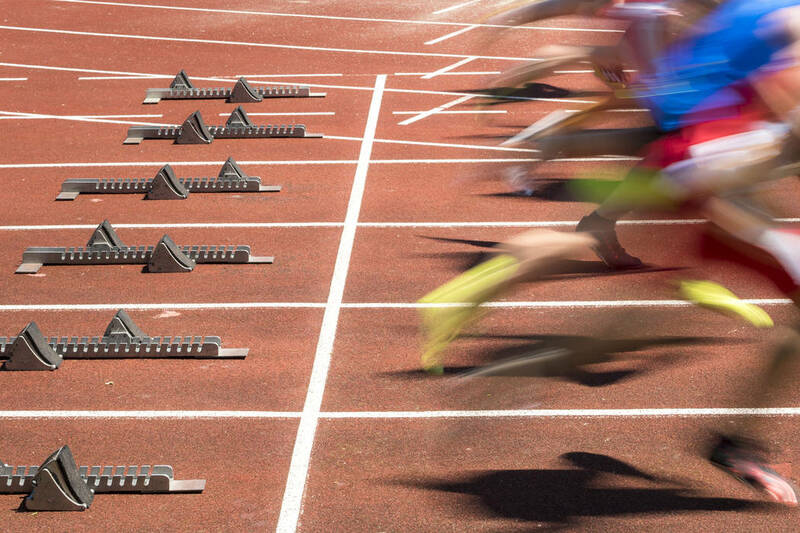 Sever Stewart and Jack Gordon each won two individual events Thursday to help Faith Lutheran’s boys track team win a three-team meet at Bonanza. Stewart won the 110-meter hurdles in 15.81 seconds and the 300 hurdles in 40.69. He also ran on the winning 800 relay team. Gordon cleared 14 feet, 3 inches to win the pole vault and was first in the long jump with a mark of 18-8½ in helping the Crusaders total 101 points. Bonanza was second with 67, and Calvary Chapel was third with 14. Bonanza’s Cevion Gurka won the 400 (53.89), was second in the 200 and ran on the winning 1,600 relay team. Calvary Chapel’s J.J. Robinson won the 200 (22.76) and was second in the 100. At Basic, Truell Clark and Corey Moore each won two individual events to lead Liberty to victory in a three-team meet. Clark won the 110 hurdles in 15.82 and the 300 hurdles in 42.13. He also ran on the winning 800 relay team. Moore won the discus with a throw of 181-3 and the shot put with a mark of 55-2 to help the Patriots to a team total of 85 points. Green Valley had 57, and Basic had 44. Green Valley’s Gabriel Vargas won the 400 in 54.06 and ran on the winning 1,600 and 3,200 relay teams. Basic’s Devin Mecham won the 100 in 11.43, ran on the winning 400 relay team and was second in the 200. At Mesquite, Victor Colmenero won the 800 in 2:16.3 and was part of the winning 1,600 and 3,200 relay teams to help Virgin Valley capture a five-team meet. Camron Noel won the 300 hurdles in 44.3 and was on the winning 1,600 relay team, and Braden Bingham won the high jump (5-8) and was on the winning 400 relay team for Virgin Valley. The Bulldogs’ Taua Fiso won the discus (119-1) and shot put (41-1¾) for Virgin Valley, which had 131½ points. Del Sol was second with 79½, followed by Chaparral (71), Lincoln County (60) and Pahranagat Valley (26). Chaparral’s Jose Martinez won the 1,600 in 5:10.2 and the 3,200 in 11:32.8. Lincoln County’s Noah Smith won the 100 in 10.8, the 200 in 21.9 and the 110 hurdles in 16.0.